I am writing to you in support of Born To Be Wild (BTBW) Nature Center. Speaking from experience, I can attest to the great educational value of John and Vivian Maxson's bird of prey program and I highly recommend them as educators. In my capacity as the Westerly Land Trust's Executive Director, I have had the pleasure of hosting BTBW's bird of prey program several times over the past seven years. They have presented their engaging programs at Westerly Land Trust indoor and outdoor events for audiences of 15 to 200 hundred people, ranging in age from 2 to 92. John and Vivian have the unique ability to make a connection with their audience by passionately sharing their knowledge and the touching stories of each of their resident birds featured in the program. I cannot speak highly enough of the Maxsons and the Born To Be Wild Nature Center. I have witnessed firsthand how they make a difference for the better through their environmental education programs. I encourage you to engage them in your next program and your audience will leave feeling inspired and awed. 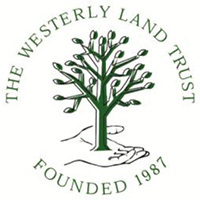 If you have any questions regarding this testimonial, please feel free to contact me at (401) 315-2610 or execdir@westerlylandtrust.org. 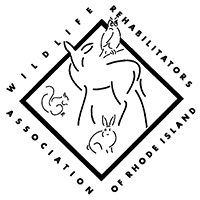 I am writing in support of Vivian Maxson of the Born To Be Wild Nature Center to present her Bird o Prey program at the Rhode Island College Nature Camp this summer. Ms. Maxson is the most energetic, dedicated rehabilitator I have met in my career as a veterinarian Although her skill as a rehabilitator is well-rounded, her passion is in treating and helping raptors. Since 2002, Ms. Maxson has dedicated her effort as a raptor specialist in the state of Rhode Island. Besides he excellent understanding of the many species of raptors, Vivian is also an excellent educator. I have attended many of her presentations. In fact, Vivian is going to be our keynote speaker for the WRARI annual dinner this year. Ms. Maxson, by herself, is an interesting and inspirational speaker. However, she will also be bringing along several of her educational birds. The audience will experience the wonder of being a few feet away from a magnificent Red-Tailed hawk, a funny American kestrel who wants to be in the center of attention the timid juvenile Barn owl, and a remarkable Eastern Screech owl. Each of these birds were once a patient under Ms. Maxson's care, each with a story of an unfortunate mishap. Due to their injuries, none of these birds will be able to survive in the wild. Ms. Maxson, with a special permit, allows these birds to live out their natural life. While under Ms. Maxson's care, these birds will continue to inspire many with their stories—stories of courage and resilience. Without hesitation, I would recommend Ms. Vivian Maxson as the speaker for your Nature Camp. Please feel free to contact me if you have further questions. BTBW's educational programs have been consistently excellent. Having seen several other presenters featuring birds of prey, I can state unequivocally that BTBW's is the best. Their knowledge of the raptors, their habitats, and their habits is superb. Viv and John's dedication to their mission of rehabilitating these birds and releasing them back into the wild, when possible, is remarkable, and is well known among the wildlife rehabilitators in Rhode Island and New England. In addition, they are passionate, yet laid back speakers who engage well with their audience. I have heard nothing but rave reviews for their presentations in my libraries. The inclusion of BTBW educational programs would be an outstanding addition to any summer nature camp! Should you have any questions or concerns, please do not hesitate to contact me.